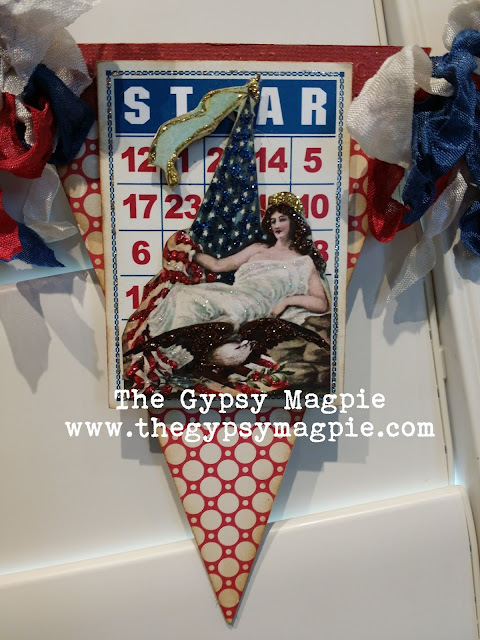 Show your patriotic spirit with a vintage-inspired banner to decorate for the fourth! 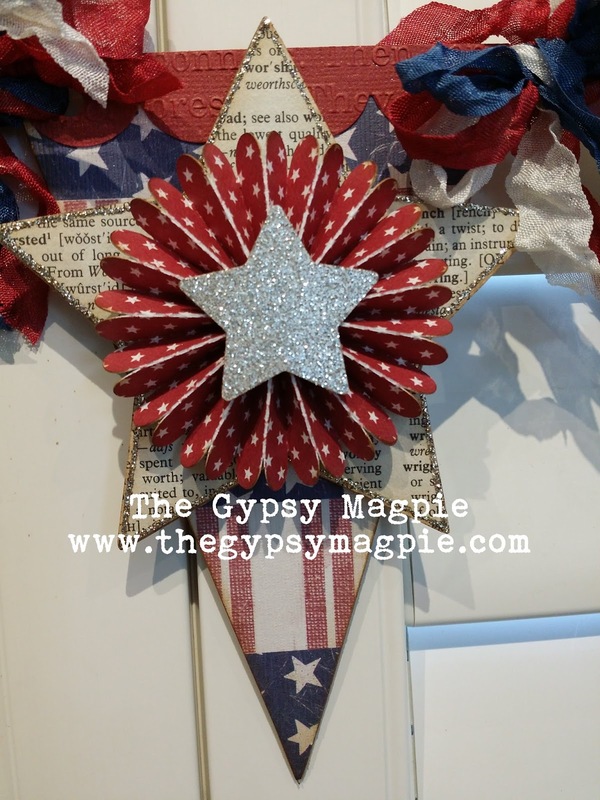 This patriotic banner is made with a coordinated mix of red, white & blue printed papers, silver glitter stars and rosettes, plus vintage images. It's finished with red scallop trim and red, white & blue crinkled seam binding. 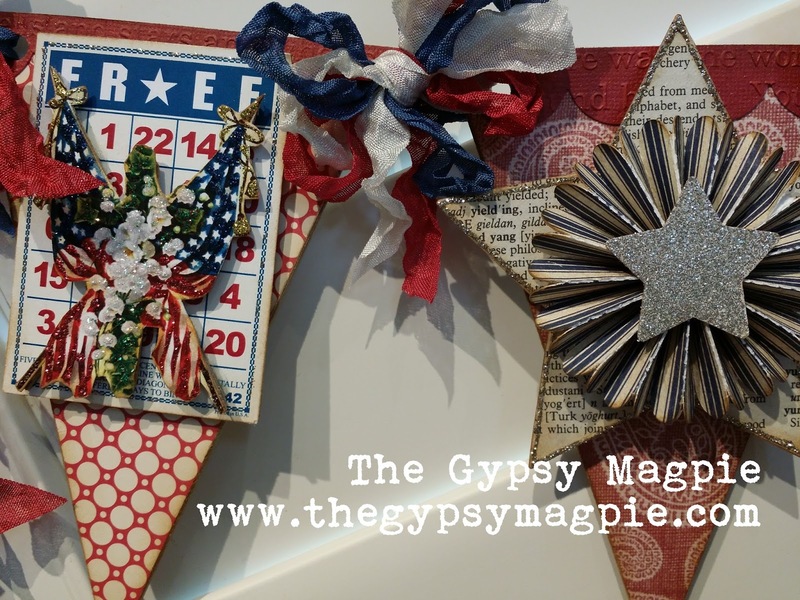 Kit includes everything you need, including pre-cut papers and chipboard banner pieces plus die cut/pre-scored paper stars and rosettes. Written instructions and color photos help you assemble your banner. This project is for all skill levels, from beginner through advanced. 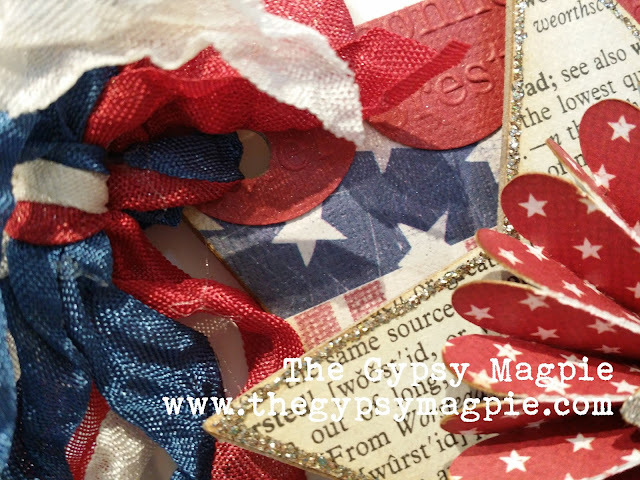 Kit is $59 plus shipping, check it out here.